Every once in a while there comes an entity that is born to change the common, raise the bar and make a difference. SKC is one such organization. 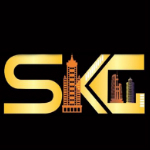 SKC is an ISO 9001:2008 certified real estate company having a pan-India’s rapid economic growth, SKC has been shaping landscapes with foresight and innovations for future requirements of resurgent India. SKC Builders & Developers Pvt. Ltd. Has been awarded with the NSIC-CRISIL Rating On July 14, 2015.SKC is creating a legacy for generations to come, by developing new competencies in Residential Apartments and Commercial Complexes. We at SKC are committed to meet the future and define new benchmarks with our iconic residential spaces, state-of-the-art office complexes, market leading retail offering and fruitful investment opportunities that meet the buyer’s full spectrum of lifestyle needs. We have a significant presence in India. Our brand philosophy of “Touching Hearts -Building Confidence” is on the basis of importance we give to every detail, world-class style, design and quality. Our goal is to present a place which is like a dream come true .